Don't you just love the White Rabbit? Isn't he your favourite? 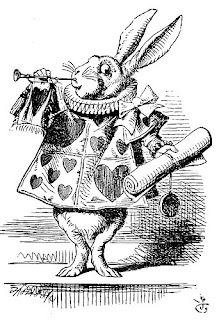 Well, here he is - the original Tenniel illustrations were the best! 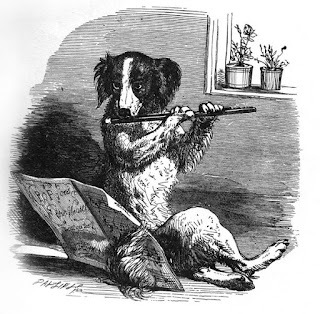 And here't the flute-playing dog from the nursery rhyme Old Mother Hubbard. A superb engraved image.